Professor James Fleck, Professor of Innovation Dynamics at The Open University Business School. At the beginning of the Innovation Masterclass, I proposed to run a challenge for examples of an innovation that does not involve technology. 1. There is a distinction between innovation and simple change: essentially we are considering innovation as a business and economic category. 2. Involvement of any technology: existing or old – does not have to be new; simple or basic – does not have to be complex. 3. An innovation may well be based on a natural phenomenon, but it has to include an extra element to make it into a human idea or invention. 4. There is a distinction between innovation as we have been discussing (essentially a business and economic category) and artistic or cultural innovation. 5. Innovations in process look like the most promising candidates, although most modern processes do in fact depend on ICT (information and communication technologies). 6. Innovations in policy look promising, but until they are practically implemented, usually as processes with determinable outcomes, they are not really innovations in the business sense. There were 21 submissions in total. The best answer won a bottle of champagne. More detailed observations are noted under each suggestion. Well, this is surely the archetypical innovation and if a wheel is not technology, what is? This certainly represents a major societal change, and is more a combination of many other changes than a singular change. But would slavery have been possible without ships, weapons and other instruments of oppression? There is an interesting thesis about feudalism which suggests that it is a society that results from the invention of the stirrup (which enabled the technology of horse-based warfare to underpin the emergence of a class of horse owning overlords). Not sure that this is a new idea, and don’t think any economic impact was intended. It’s more of a cultural change. Also see general points 5 & 6 above. An interesting one, but more of an artistic/cultural change. Also, unless purely voice, without any musical instrumental support, then technology certainly is involved (musical instruments are technology). Not sure what the specific idea is that is being practically implemented; not sure what the intended economic impact is, and not sure that it is in any way new. This is more of a cultural change – see general point 5 above. Not sure what is new about this. Surely more a reversion to what historically has been the essence of good family-based care. Perhaps the industrialised “task completion” approach, dependent on the technology of time-keeping and efficient division of labour, was the innovation? An interesting one – an example perhaps of a process innovation (see general point 5 above). But what about the pitch and the stadium, the football, specialist boots, TV and all the other technologies that make the modern World Cup what it is? Also, sport perhaps is more part of the artistic and cultural domain in its essence as a game. And increasingly, modern innovations in sport are in fact based on technology (goal line technology for instance). This is very cryptic and not sure what the key innovation is. Appropriate behaviour has always been an important ingredient in safety. In its modern manifestation, I think it does depend on technology, that of monitoring and recording as well as a range of training tools to impart correct safety behaviour (I am thinking here of the programmed instruction about computer work that I have to undergo as an academic). But knitting needles are technology, albeit a very simple and basic one. Mmmm. An entirely natural process. No new ideas or inventions (well…) (In the robotics literature there is a joke about how human beings are the only robots made by unskilled labour). Another natural process. No new idea and no practical implementation. But once there is practical implementation for intended economic outcomes, then perhaps you do have an innovation. Artificial selection for breeding? A clear example of a policy innovation (see general point 6 above). Not sure how new this was as museums were always free when I was a boy. Also not clear what the economic impact has been. Not sure where the practical implementation is. And perhaps there is a distinction between factually based new ideas and imaginative new ideas? Clearly an artistic/cultural example (see general point 4 above). Another very interesting example. Originally money emerged as a universal barter commodity, such as salt. But the real innovation when money became money in the modern sense, was the invention of coinage with symbolic value indicated on its face. And this of course depended on the technologies of metallurgy and minting. Even with salt and other barter goods, some means of measuring or weighing the quantity of the goods was required. As with example 6 above, not sure there is anything new in this. This is rather a reversion to ancient family based approaches. Is this in itself an innovation? The effective control and harnessing of fire surely is the basis for innovations, and these all constitute technologies such as design of hearths, furnaces, chimneys etc. I think this does necessarily involve a range of technologies, from effective tagging systems for the goods purchased, scanning systems for the checkout points and the design of the checkouts themselves so they are easy to use by a range of customers. A good example of a process innovation (see general point 5 above) but rather generic and difficult to consider in the abstract. And surely it intrinsically involves technology especially in its practical implementation? As I understand it, it is a software development methodology, and is software not a technology? Moreover, various other supporting software technologies are required for monitoring and managing the overall process. An interesting example, but one which necessarily ultimately depends on all the technologies involved in the modern financial system, even though the front end might be a very low technology of local paper records. These two suggestions (20 & 21) both capture a key idea arising from the formal mathematics of queuing theory, namely that one queue feeding many servers is far more efficient than many queues each feeding their own server. In essence it requires no technology as it could be implemented in any situation although to be purist, usually various technologies are involved (barriers to direct the lines; checkout technology in the servers etc). I recently had the privilege of attending an Open University Business School Masterclass and networking event at which Ken Keir, the Executive Vice President of Honda Motor Europe, talked about the way innovation, the lifeblood of the Honda company, drives its success. Even though he focused on Honda’s R&D philosophy, explaining for example how, in recessionary times, the company goes against the tide and invests more in R&D rather than less, by the time we reached slide 5 of the presentation on the Honda strategy, vision, values, and behavior, it was pretty clear to me that here is a company founded on positive psychology principles. So what does this tell us? 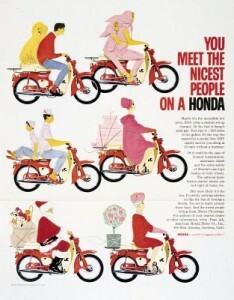 Firstly, that the joy of making, the engineering that is at the heart of the Honda company, is its strength. Secondly, that Honda encourages its engineers to embrace and play to their strengths, rather than try to be something they’re not. Thirdly, Soichiro Honda clearly saw that using this strength in the service of something greater was crucially important to the success of his company. More than half a century later positive psychology research tells us that this is the essence of finding meaning and a key to flourishing. Don’t shy away from positive emotions at work. They have a place in every succes sful company. If this seems a bit scary, you could start by looking at how to create a more healthy balance of right brain and left brain, feeling and thinking, intuition and analysis. Alternatively, if you had to suggest Three Joys for your company, what would they be and why? When I heard Ken Keir speak, I was expecting only to find out about Honda’s innovation and creativity. Instead, I also discovered a company imbued with positive psychology principles. 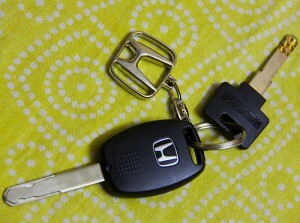 Every time I drive my Honda I’ll be thinking about the Three Joys. And every time I meet an engineer I’ll be reminded of why you should play to your strengths. It was great to see a full house at our first Business Perspectives event. The thought provoking insights from our speakers sparked a series of lively discussions around organisational innovation at strategic, operational and product level. The energy and enthusiasm of the day carried into the evening when Evan Davis challenged our thinking on the economics of innovation, and Ken Keir introduced us to innovation Honda-style. I was impressed by the way our students and alumni enriched the debate with their experience and knowledge throughout the event. Their contributions confirmed just how diverse our network of practising managers is, in terms of background, industry, role, level and location. One example of this diversity is Salvatore, who I had the pleasure of meeting over lunch: He started his MBA studies with us in his native Italy; he continued in Sweden where his career had taken him. Now he’s working and studying in the UK. Meeting other delegates during the day confirmed that this level of commitment is a distinguishing characteristic of OUBS students and alumni. That’s why I was so pleased to hear David Harrison – a member of our expert panel – say that as an employer, he considered an OUBS MBA helped candidates stand out from the crowd. This wasn’t simply as a demonstration of their academic achievement, but as strong evidence of determination, resilience and stamina! Feedback from the event suggests that the combination of speakers, discussion and action learning sets was well received. It’s a formula we’ll be following for future Business Perspectives master classes. I very much hope you’ll join us. Following the successful Innovation Masterclass held in London on 15 November we are holding a free webinar on Tuesday 4 December at 19.00. The webinar will offer our global alumni network the opportunity to hear video perspectives on innovation from many of the event’s speakers. The facilitated event will also allow delegates to participate in Q&A and interactive sessions. Leadership: what are the qualities that foster innovation? Perspectives from Ken Keir, Executive Vice President, Honda Motor Europe and David Harrison, Entrepreneur and Founder and Managing Partner, True Potential.